Sophomore Chadarryl Clay is averaging 4.7 points and 2.1 assists per game this season for the 10-5 Rams. After transferring colleges, experiencing three coaching changes and living in three different states the last two years, static is not a word to describe VCU redshirt-sophomore guard Chadarryl Clay’s college career. She’s experienced a career’s worth of adversity, but through it all, Clay has been able to maintain her focus on the court and in the classroom. The daughter of Ardarryl and Naketa Clay, Clay grew up with her siblings Ardarryl Jr. and Aniyah in Chattanooga, Tennessee. Chadarryl’s father sparked her interest in basketball when she was four years old. Her love for basketball grew each year when her dad would shuttle her to “And 1” tour exhibition games in Chattanooga. She says she admired Allen Iverson growing up because his game resembled those in the “And 1” exhibitions. Clay says she modeled her game after Iverson, and Jason Kidd inspired her to choose the No. 5 for her jersey. Clay attended Girls Preparatory School beginning in sixth grade. She developed the skills to balance school and athletics early. Her parents stressed grades before basketball, and while she could get away with a couple B’s on her report cards, she needed to earn A’s to continue playing basketball. It was in high school that Clay developed a love for numbers and the sciences. She excelled in chemistry early, and following an internship at a pharmacy, Clay decided she’d found her career path. 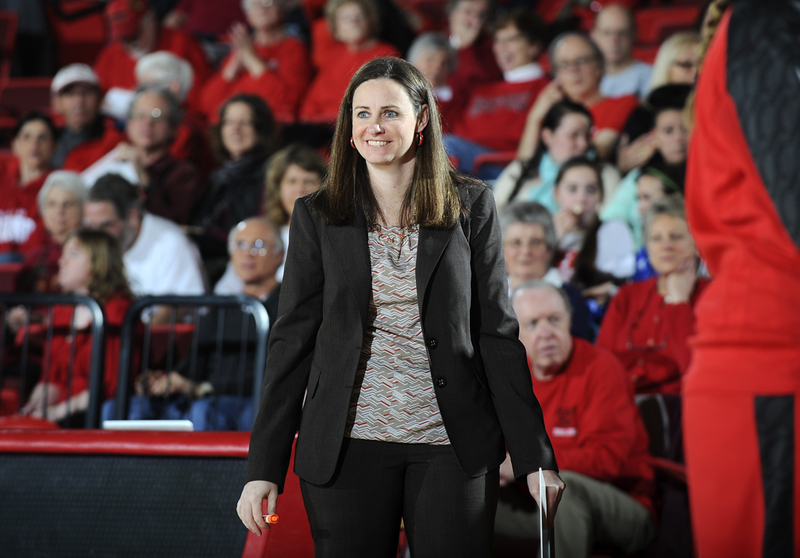 Beth O’Boyle kicks off her first season as VCU head coach on Nov. 14. 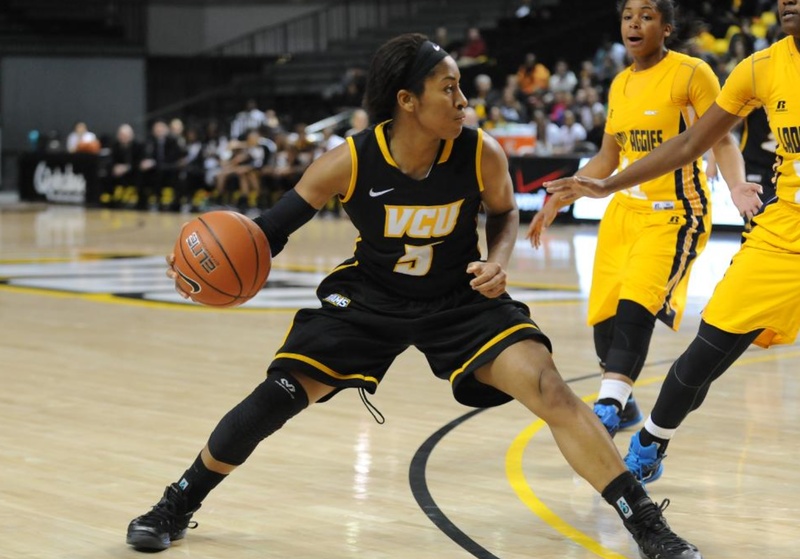 RICHMOND, Va. – VCU fans saw an array of skills last season from then-freshman point guard Keira Robinson. New Rams’ Head Coach Beth O’Boyle believes that’s just the beginning for the Columbia, South Carolina native. In her first season with the Rams, Robinson averaged 11.4 points per game and handed out more than six assists per game. Her 200 assists were the most ever by a VCU freshman and the third most in program history. She also led VCU with 71 steals. On Tuesday, Robinson, an Atlantic 10 Conference All-Rookie Team selection last season, was named to the league’s Preseason Third Team. As a freshman, she displayed impressive playmaking skills – arguably the best by a Ram since Rochelle Luckett from 1998-2002 – in the Rams’ wide-open offense. While O’Boyle says her style of play will differ from former Coach Marlene Stollings’, the Rams will still play up-tempo. She also believes a switch to man-to-man (VCU was almost exclusively a 2-3 zone team under Stollings) and some additional full-court press looks will lead to more steals and more transition basketball. All of that is good news for Robinson, whose length and vision allow her to see the floor and find teammates in transition. Robinson’s guidance of O’Boyle’s motion offense will be essential. The Rams will look to replace A-10 scoring leader Robyn Parks, who averaged 21.6 points per game last season. “I think they did an excellent job of getting the ball to Robyn with a variety of quick-hitters, but with her graduation, we’re going to look at different ways to score, and I think one of the ways is through our motion. I think it’s tough to scout. I think Keira and Chadarryl Clay will be able to create scoring opportunities for their teammates,” O’Boyle said Tuesday at A-10 Media Day. It was clear last season that Robinson had the physical tools to play the point at a high level, so O’Boyle is turning her attention to the intangibles. She’s expecting Robinson to lead the Rams with her play. VCU was picked 10th in the A-10 Preseason Poll, released Tuesday. The Rams finished 22-10 overall last season and reached the first round of the WNIT, but O’Boyle says the poll won’t impact the way she operates. O’Boyle is cognizant of the fact that just one player on the Rams’ roster, junior college transfer Ashley Pegram, was signed on her watch. It’s one of the reasons she and her staff have been working overtime to build a rapport with the team.